Whether your lean-to conservatory is traditional or contemporary, the style is perfect for properties that have restricted space under the eaves, like a bungalow, or have an area that's too awkward to accommodate a conservatory. This is because the pitch of the roof on lean-to conservatories can vary – so a shallow pitch can fit under a low bungalow roof and a steeper one would be ideal for a terraced house. With Bahama lean-to conservatories, you can have this conservatory style in one of two roof systems. The Elevation roof features click-lock technology and the ever-popular Classic system. These types of conservatories have their origins in greenhouses that were built to face the southern sun. This attracted the sun and offered shelter against cold north winds. These days, a Mediterranean conservatory style is number one on the list of people wanting to improve their homes. Lean-to conservatories have a simple design and, with at least one wall already built, they save time and labour, which saves money. A Mediterranean conservatory style is not an expensive option, because of its simplicity, and with heating, electricity and water readily available from the house, installation and maintenance costs are lower. 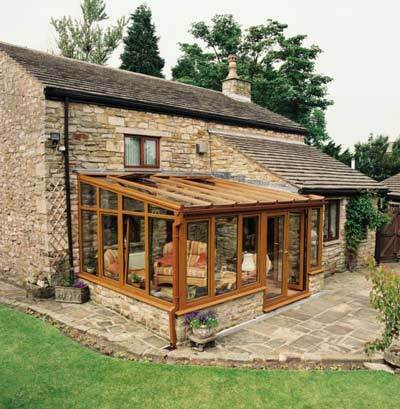 A lean-to conservatory can also improve the energy balance of your house, provide shelter and catch the winter sun. 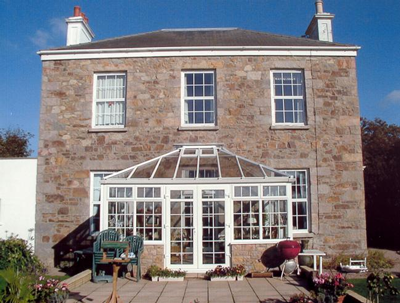 You can use your conservatory as a greenhouse, a playroom, a dining room, lounge or kitchen. And now, with great features like floor heating and double-glazing available for your Mediterranean conservatory, you can have a new living area room for a fraction of the usual price.